Any baseball player desires to be perfect on their hits and one of the most convenient ways to perfect this skill is by investing in a pitching machine. Pitching machines come in different sizes, runs on different mediums and throw balls differently and with different speeds. Choosing the best pitching machine is sometimes a risky endeavor because the machines are not only pricey but it is also a long-term project. The following is a comprehensive list of the best 5-pitching machine worth investing in 2018. Sold by BP Athletics, this pitching machine is ideal for any type of baseball player. All types of games that require the players to perfect on hitting can use it because Black Flame is a multi-purpose pitching machine. This means therefore, it can be the right purchase for a multi-gaming experience. What are some of the features that make this pitching machine the best as a baseball option? First, the first thing that comes to your mind after seeing this pitching machine is its weight. 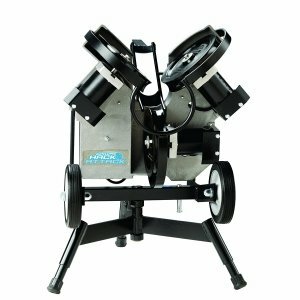 Every baseball player wants to carry light equipment and this makes this pitching machine stand out in the wide variety of pitching machines. Second, the fact that the machine does not require any form of power to run makes the machine exceptional and the player will not occur extra cost from batteries of even electricity bills. Third, the machine is designed and build in such a way that it can accommodate to throw all kind of balls makes it unique and exceptional. It gives the machine a diverse option to be used not just by baseball player but also by players of other games. Finally, the pitching machine has much variety of functionality and it allows the instructor instruct it on a variety of throwing angles and this helps the baseball players to perfect on their hitting skills regardless of the ball direction. The machine is relatively reasonable in terms of price and the fact that it comes with a warranty makes it a worthy investment for the player or the parent. The running costs of this machine are hugely reduced and this makes it an exceptional investment any baseball player can invest. With a variety of the speed in which the balls are thrown gives the player the ability to experiment and work on their coordination and therefore making the player better. Although it is one of the most efficient pitching machines in the market, there have been instances where the accuracy of the machines has been recorded as not consistency and this can be contributed to the fact that the machine runs purely on mechanical ability. In summary, the advantages and the features that come with this machine outweighs the one unfortunate disadvantage. The inconsistency in the machine operation can be termed as operational errors and can be solved by using the manufacturer’s guide. The pitching machine can be termed as the most colorful pitching machine in baseball. Due to its efficiency and consistency, it is the official recommended baseball as well as softball Pony league favorite. This has given the pitching machine a lot of attention from buyers. However, what exactly makes this bat exceptional? First, the most outstanding feature of this machine is the minimal weight the manufacturers use. With just 25 pounds, the machine is ideal for practice and easy movement around the pitch. Second, close examination of the pitching machine reveals that the bat does not have electric cables or battery sections and this means that the bat runs purely on mechanical. This means therefore that there are not running costs in powering the machine. Third, the machine throws the baseball at a variety of speeds when can be as fast as 45 miles in a single hour. This gives the player the chance to work on their coordination skills on a variety of ball speeds. Fourth, it is the perfect option for an extensive practice on balls from diverse angles since the pitching machine can throw balls from different directions. Since the bat is recommended by most youth leagues in the USA and in other leagues around the world, it means therefore that the pitching machine is well examined on the optimal results realized when used. It is economical to use this pitching machine since it does not have running costs. It is fully mechanical and this means that apart from the initial cost of purchase, there are no additional costs. For general function the pitching machine is diverse in terms of variety in the speed in which the balls are thrown gives the player the ability to experiment and work on their coordination and therefore making the player better. There are some instances whereby minor adjustments on the ball speed and the ball direction has led to different results from the manufacturers intended. Although this is widely contributed to the initial setting of the machine, it still affects the general performance of a new pitching machine user. 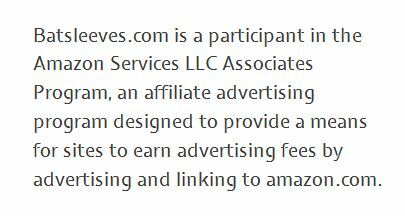 In summary, this is a good investment considering the above features. It is rational to state that all the features stated gives the baseball player value for money and the issue of the adjustments can be solved by following the manufacturer’s guide. Designed by Sports Attack, the pitching machine is probably one of the definite in terms of the target market, which is from junior to senior league players. What are some of the features that make this pitching machine unique? The visual thing about this pitching machine is the three-stand model that according to the manufacturers is for support. This small structured machine makes it be one of the easiest pitching machines to transport by a truck or just SUV. Second, compared to other pitching machines, this particular one has diverse speedballs that range up to 100+ MPH with a diverse side of the ball and this means therefore that both left handed and right handed hitters can use this machine for practice. Finally, the pitching machine has a variety of setting which gives the player or the couch the ability to determine the direction and the speed of the balls. With a variety of throwing directions and different velocities, this machine gives players the ultimate experience of a real coach or game experience. The three-legged pitching machine is diverse in terms of variety in the speed in which the balls are thrown gives the player the ability to experiment and work on their coordination and therefore making the player better. Transporting this machine from one place to another using SUV is highly simplified because no assembling and reassembling of the machine needed. The only major disadvantage of this particular machine is the fact that one cannot use many different types of balls and still get the same results in terms of speed and accuracy. In summary, this pitching machine is definitely a decent investment in view of the above features. It is sane to state that all the features stated gives the baseball player value for money and the issue of the usage of specifics balls by the machine is not a disadvantage to many baseball players. The pitching machine is arguably one of the smallest in terms of size in the world of pitching machines. With a one-year warranty, this is the best investment for any baseball player of the parent. The colorful pitching machine has one of the most competitive features. First, the pitching machine is unique in the nature of the balls it operates because the balls are small compared to the normal baseball. This gives the player a chance to get accurate hits and therefore coordination skills are sharpened. Second, the small structured machine makes it be one of the easiest pitching machines to transport manually or by a truck or just SUV. Third, the machine throws the baseball at a variety of speeds when can be as fast as 45 miles in a single hour. The one-year warranty is a good gesture from the manufacturing company and this gives the parents and the baseball player the quality assurance of this pitching machine. Through a variation in the speed, of the player the ability to test and work on their coordination and therefore making the player better. The relatively small baseball feature of this pitching machine to some players is not ideal and there are constant mishits as well as the ball hitting the player. However, this can be viewed as an opportunity for the baseball player to perfect on their hitting skills. Concisely, this pitching machine is worth the price and it aids the baseball player to perfect their skills. It is sound to state that all the features stated gives the baseball player value for money and the issue of the usage of specifics balls by the machine is not a disadvantage to many baseball players. In the general note, it is important to choose each of the above pitching machine based on the running cost factor as well as running efficiency. Although price should be considered, the best angle to check the price mark worthy of a machine is what the machine has to offer. Other important aspects should be issues like warranty and the mobility of the machine. This pitching machine manufactured by Franklin is a popular piece of equipment for young players. But do you know what makes it so popular? The Franking Sports designed to train young players hand and eye coordination skill; also, easy step, pop, swing motion. The Franklin Sports MLB Baseball Pop A Pitch is known for its ease of use and simplicity. Step on the foot paddle and get into a batting stance – the Pop A Pitch will throw balls to your strike zone to help consistent swinging training, easy. For an aspiring young player, it’s the perfect tool to train your baseball skill. And most of all, the Pop A Pitch is easy to assemble; hence can save a lot of time compared to other pitching machines. It’s a high-quality pitching machine rated high by all. The Franklin Sports MLB Baseball Pop A Pitch comes with an autofeeder feature which helps in multiple swing action practice. This equipment is that its extremely easy to assemble, unlike many difficult to assemble pitching machines. The Pop A Pitch comes with ABS construction which makes the machine durable and long-lasting. It’s comparatively cheaper than other pitching machines which makes it a great buy. The biggest pro of the Pop A Pitch is that the equipment makes a young player grow. It helps in improving one’s hand and eye coordination along with easy step, pop, and swing motion. An excellent pitching machine to improve a young players skill but not so much with older players. Designed by BSN Sports this machine is an excellent buy on the market. Let’s look at some of the features that make the BSN Bulldog a great buy. If you are looking for a machine, you carry with you in addition to improving your batting skill try using, the BSN BSN Bulldog Baseball/Softball Pitching Machine. The Bulldog is very light and portable along with a commendable ball speed of 30 mph to 50 mph. Also, this equipment can throw baseballs, 11″ and 12″ softballs. And it runs on 140 V Ac or a generator 1/4 HP D.C motor. In addition, the BSN Bulldog has urethane wheels that eliminate air pressure and increases durability. 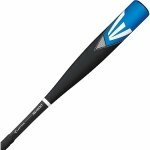 It’s designed with heavy duty legs that are convertible for both baseball and softball. The BSN Bulldog can throw pitches at a speed of 30-60 mph. 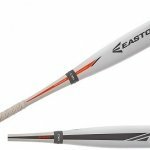 Its source is electric, and the lightweight design lets you move the pitching machine around with ease. Comparative durable than most other pitching machines with urethane wheel which eliminates air pressure issues. It’s heavy duty legs are convertible for baseball or softball. 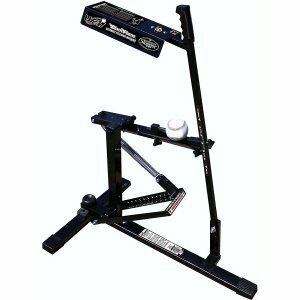 The BSN Bulldog Baseball/Softball Pitching Machine is ideal for a long practice without wearing out the pitchers. Meaning, you can practice as long as you want. It costs relatively higher compared to some other pitching machines. One of the best— Franklin Sports MLB Super Star Baseball Batter & Fielder Multi Function 4 in 1 Pitching Machine is excellent to improve your hitting skills. But do you know why it’s best to improve hitting skills? It’s one of the best pitching machines for players who want to get better at hitting curveballs. The Super Star allows you to set balls to different angles which complement in your hitting. Also, this machine has versatility and can deliver soft pitch, fast pitch, ground balls, and pop flies. Also, it comes with a tripod which increases the stability of the machine and avoids cases of it tripping over. Another excellent feature of the Super Start is the telescopic ball feeder which can expand and hold up to 9 balls. This machine helps practice training by setting to the designated angle to practice both hitting and fielding: soft pitch, fast pitch, ground balls, and pop flies. The Super Star has a tripod which increases the stability of the machine and prevents it from tripping. 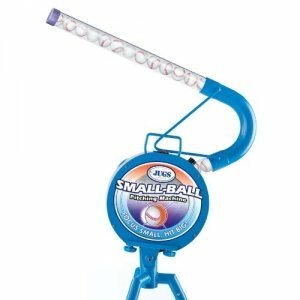 With the telescopic ball feeder which expands to hold 9 balls, one can practice for an extended amount of time. Also, includes 6 Aero-Strike plastic baseballs. Requires 4 “C” size batteries which can be found anywhere. The Super Star is extremely easy to set up. Although durable, needs proper care to last for a long time. Made by Jugs this machine is recommended to age 8+ to adults which complements its ability. Arguably, one of the best pitching tool with versatility. But it’s not only versatile; it also has other features that make it excellent equipment to sharp your baseball skills. The Jugs Lite-Flite Machine for Baseball and Softball is an excellent baseball tool that’s known for its lightweights at only 35 lbs. The lightweight also gives excellent portability. It throws a variety of balls with light flight and ploy balls including fastballs, curves, and sliders. Also, the swivel base allows the machine to deliver pop ups, fly balls, and ground balls. Furthermore, it can throw a pitch at a speed of up to 85 mph in 25 feet distance. Another great feature of the Jugs Lite is that it can throw both right handed and left handed curveballs and sliders. The Jugs lite is a lightweight pitching machine for honing swings of beginner hitters. The recommended age for the Jugs Lite is 8+ to adult which gives a choice of a broader horizon of peoples. It throws fastballs, left- and right-handed curveballs and sliders. Excellent to improve one’s batting in various situations. It’s one of the lightweight pitching machine weighing at only 35 lbs which makes moving it easy. The Jugs Lite comes with a 2-year warranty. The Jugs Lite is a versatile pitching machine; however, it’s only designed for using light flight baseballs, softballs, and Polly balls. Using any other ball can get the machine damaged. Do you want to get better at baseball— want to hit, and field better? 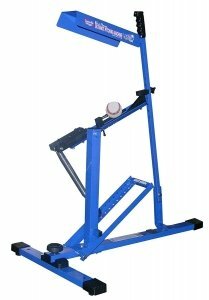 Try using the Fence Buster Pitching Machine for Baseball and Softball. A tool that has been growing in popularity to raise young players baseball skill. This pitching machine is made of durable metal construction which makes it durable compared to its counterparts. An excellent feature of this tool is that you can use it indoor or outdoor. The Fence Buster features realistic youth league height. It also has elevation adjustment as it can throw fly balls and ground balls with variable speed adjustments. The machine can also deliver consistent strikes paired with variable speed adjustments to increase a young player’s hitting skill. The unique feature of the Fence Buster is that it can go from softball to baseball in a matter of seconds which makes it perfect to train a beginner to learn hit breaking ball without the fear of being hit. It can be used both indoor and outdoor, so, a young aspiring player can practice regardless of weather. 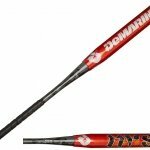 Comes with variable speed, elevation adjustments and deliver consistent strikes to hone young player’s hitting skills. The sturdy metal construction makes the Fence Buster relatively durable than many other pitching machines. 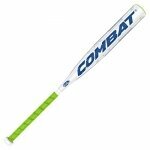 It can throw Fence Buster baseballs and softballs with quick adjustments to learn to hit breaking ball without the fear of being hit. The Fence Buster is an ideal pitching machine for children of 12 or under to hone their baseball skills. It’s a machine great for young players of 12 or under but not above. The pitching machine can be said to be one of the most versatile pitching machines in the market. Made by Mound Yeti, it’s an excellent tool for players of all skill levels. But what makes it so remarkable? Let’s find out. This 2 wheel pitching machine has a wide range of speed from 30 mph to 100+ mph which works great for players of all skill levels. The Mound Yeti has a lot of varieties as with a quick adjustment the machine can throw right-handed breaking balls, left-handed breaking balls. In addition, it can throw fastballs, sliders, and knuckleballs. Also, the speed setting can be set at low, medium, and high. The wheels of Mound Yeti is made from urethane to eliminate air pressure issues. It can be switched from baseball to softball for young players. The Mound Yeti can throw pitches at speed from 30 mph to 100+ mph which makes it an excellent to practice for players of all levels. Depending on a player’s skill the speed can be set to low, medium, or high. The machine can throw right-handed breaking balls, left-handed breaking balls, fastballs, sliders, and knuckle balls which can be a great addition to improve one’s batting skill. The Mound Yeti is not just an excellent for batting practice but also to practice pop-up flies, and grounders. Set the head of the machine’s angle up to practice pop-ups, and down to practice grounders. It’s durable with its urethane made wheels which eliminates air pressure issues. The Mound Yeti comes with a 6-years manufacturer warranty. This pitching machine weighs 104 lbs which makes it move from one place to another difficult. All it comes down one question ” Is a pitching machine necessary to improve baseball skill.” In the past, it took tremendous effort to become good at baseball which is the same in the present with a small difference— baseball pitching machines. The difference is between efficiency. A baseball pitching machine is immensely useful when practicing. For example, imagine you’re a pro baseball player and want to hit the ball out of the park during the practice. But the pitcher is too tired to throw the balls with enough speed and accuracy in the strike zone which can’t be an adequate practice for you. Same as when you are a pitcher. When a game is coming soon, and you need to pitch to your batter in practice session. For a short time— shouldn’t be a problem but a prolonged time may bring you a sore elbow which might make sit out a match. And in the long run, it will affect you much harder than a batter. So, whether you are a pitcher or a batter, a pitching machine can be ideal as machines don’t tire and with a full charge can last a long time. For a batter, a pitching machine can be an excellent help to prevent fatigue for you and your pitcher while improving in-game accuracy for your batting. A pitching machine can be used in various skill levels, including youth, high school, college, and professional leagues. Meaning, no matter the age and skill level it can improve one’s baseball skill. On another hand, for a beginner facing a live pitch from a real pitcher is dangerous as there is a chance of slip and getting hit by the ball. Most of the time, a pitching machine boast of perfect accuracy so an up and coming hitter can practice without worrying about being hit. Also, it helps them get used to ball speeds of various levels. A pitching machine can serve as an extra coach. Because it gives a batter the freedom to practice on his own without bothering anyone else. Also, many pitching machines can be set indoor or outdoor batting cages so that the batter can teach their muscles to recognize pitching patterns over time and through repetition of movement. While it can’t replace a live coach, the machine can help a player improving their skill over time. When practicing a pitching machine automatically delivers the ball to the batter with various style and speeds. A human pitcher doesn’t have the luxury of doing that as the most pitcher has their own style of pitching. Although sometimes pro players might complain the equipment cannot replicate live pitching, and it feels too artificial. Many pitching machines can give the feeling of facing a live pitcher nowadays. So, a pitching machine can perform the perfect simulation of a pitcher of an opposite team before a game. There are various criteria to buy the right pitching machine. The biggest and first one is if you need a softball or baseball pitching machine. Think it like this; there are two players in your family and both like baseball. If it so then you can buy a single one and if one of the likes baseball while the other one likes softball, you may consider purchasing a combination baseball and softball pitching machine. Second, your budget. 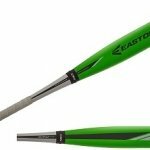 Although many tools are durable and a combination of baseball and softball they are expensive in general. If you have a tight budget, you’ll lose some features, but you can pick up a particular machine for baseball or softball. Finally, the skill level of a player. If the player is a beginner, then a pitching machine of 30 mph to 50 mph will better to make him get used to it. But if the player is a professional, then a pitching machine with good speeds of 70 mph to 100+ mph will be necessary. Also, a tool with a live pitcher feel will be essential too. Charles Howard Hinton a mathematics instructor and science fiction writer at Princeton University invented the original pitching machine in 1897. It was gunpowder-fueled and many raised concern over safety for players, but the tool proved to be capable of throwing pitches at variable speeds. 1952 – Paul Giovagnoli designed the first arm-type pitching machine. It’s metal arm simulated the motion of a real pitcher. 1976 – The mass production of the arm-type pitching machine began with the founding of Master Pitching Machine. And over the decades the pitching machine became much more refined and tuned for different styles of pitching. A pitching machine is effective whether the user is a beginner or a pro with its variety of speed and skill level. And it’s getting used for practice for all skill levels including in the MLB league— the most prominent baseball professional league in the world. The pitching machines can get players accustomed to different kind of pitches just like a real game and improve their skill. A pitching machine has become essential for players of all skill level to practice with efficiency and improve their game. What is Little League Baseball? What Do You Need To Play Baseball?